Zoiks! Online - The Very Best in Stand-Up And Music! : "Larry the Cable Guy has a new DVD called 'Tailgate Party.'" "Larry the Cable Guy has a new DVD called 'Tailgate Party.'" The comedian, who started doing stand-up in West Palm Beach, FL in 1986 on a dare, actually moved to Florida from Nebraska. His transition from a small farm to a populated area wasn’t well received. “I hated it. There were no cows,” Larry said. Thank goodness for that. That’s because, since that one night on stage, Larry has been telling jokes full-time, with the exception of one part-time gig. “I sell boots down at Greg's Western Wear on Sundays from 2 'til 4,” Larry said. Influenced by comedians Steve Martin, Milton Berle, Jonathan Winters and Don Rickles, Larry’s material seems to fall into his lap. “I hang around a lot of rednecks so the material comes pretty easy,” Larry said. 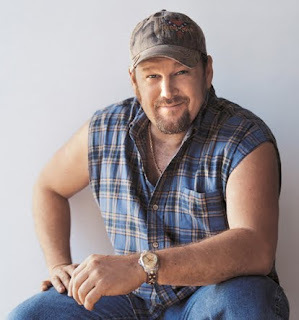 Aside from his new comedy DVD, Larry the Cable Guy has a full schedule. His upcoming stop in my neck of the woods, March 20th at the Adler Theatre in Davenport, IA, will sure to be a hoot n’ holler.